After five sweltering days in DC, we returned to find that mild-when-we-left LA was also flirting with 100 degree temperatures. My one pair of khaki shorts wasn’t cutting it. I dug through my “to donate” bag and found a couple pairs of outdated, unflattering capris and decided that a quick makeover was in order. With just a few stitches, the capris became cuter, cooler shorts! 1. 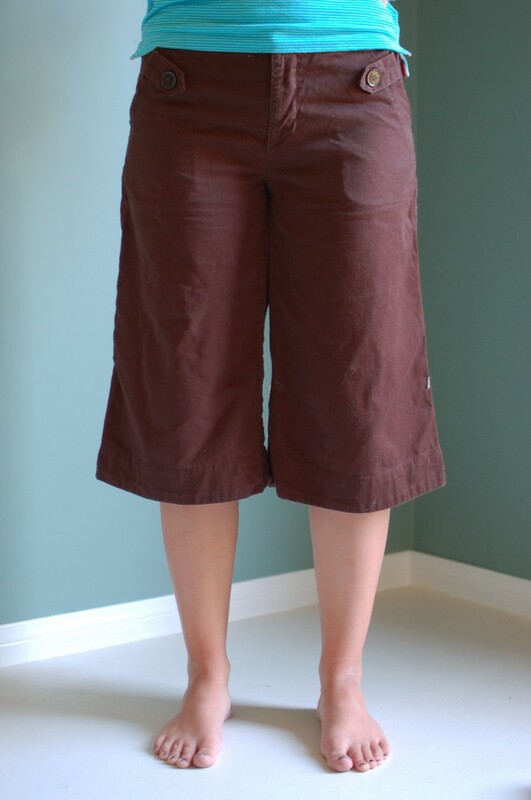 While wearing the pants, use a fabric pencil to mark the desired finished length for your shorts. I held a ribbon around each leg so I could make sure I was drawing a level(ish) line. This line is only for reference — do not cut on it! 2. Decide how tall you want the cuffs of your shorts to be. Multiply this number by three to determine where you’ll draw a second, parallel line, for cutting. For example, I wanted a 1″ cuff, so I marked my second line 3″ below the first (desired length) line. For 1.5″ folds, use 4.5″ between, etc. Take the pants off to mark your second line. 3. Cut along the second line. 4. 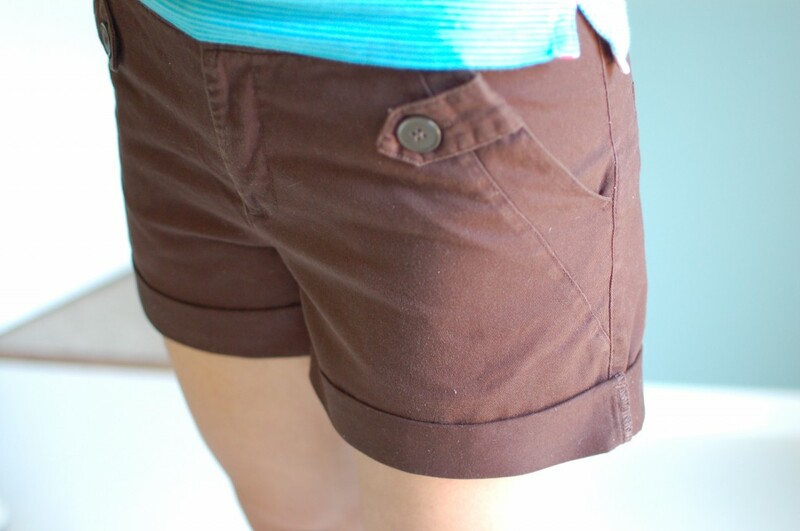 Fold the shorts up, 1/2 the distance to the first line (this should be equal to your desired cuff size). Iron. Fold the shorts up to the line. Iron and pin. 5. 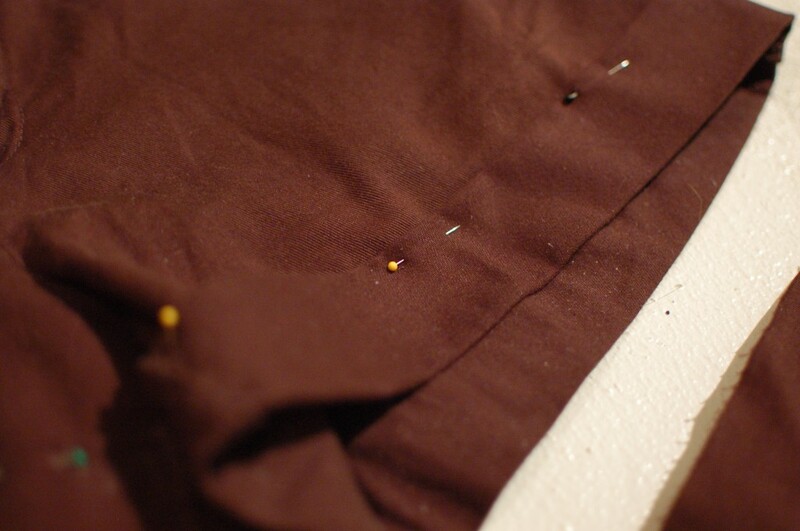 Using a similar colored thread, sew the cuff to the shorts at a few evenly spaced points (I did the side seams + two spots in front and three in back). 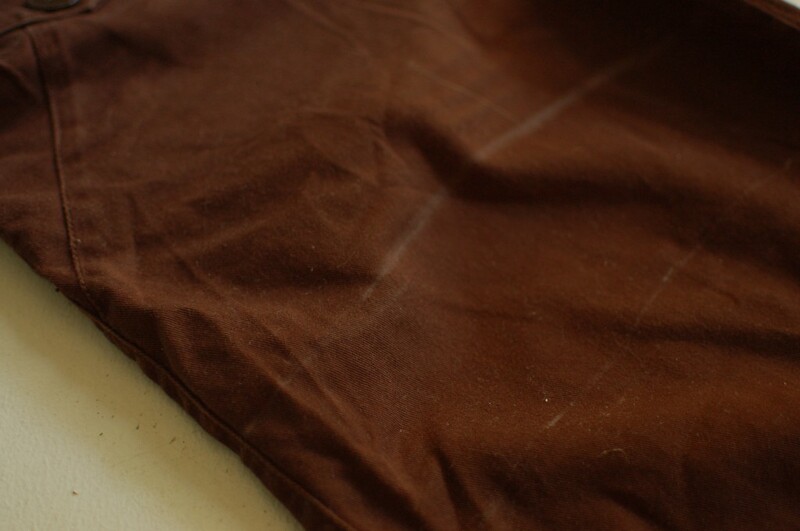 Start from the inside of the shorts and pick up the inside fold of the cuff, but don’t go through to the front. 7. Survive the summer heat in style! These look great, Jennifer! This is so resourceful too!